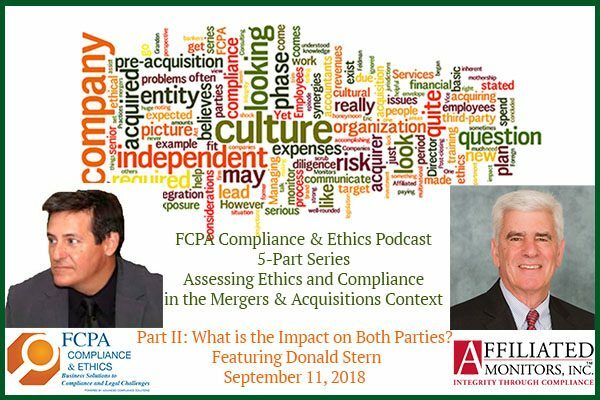 Donald K. Stern - Affiliated Monitors Inc.
Don Stern has had a distinguished legal career in both private practice and public service. 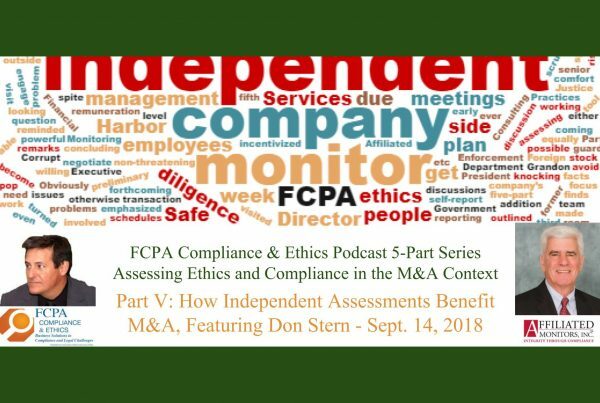 Mr. Stern oversees the company’s corporate monitoring programs across a spectrum of industries: corporate, healthcare, financial services, environmental and others. 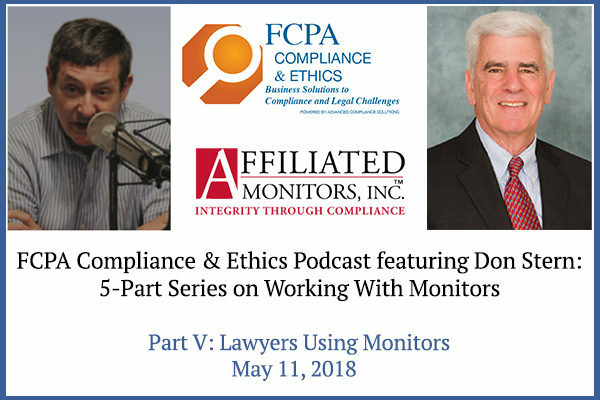 His varied background has given him a broad and deep understanding of corporate compliance matters as well as the enforcement responsibilities of government agencies. Mr. Stern is the former United States Attorney for the District of Massachusetts, appointed by President Clinton. As United States Attorney, he was the chief federal law enforcement official in Massachusetts, and directed an office of almost 100 attorneys. Within the Department of Justice, he was the chair of the U.S. Attorney General’s Advisory Committee. In state government, Mr. Stern served as the chief legal counsel to Governor Michael S. Dukakis. He also spent seven years as an assistant attorney general in the Massachusetts Attorney General’s office, where he held several positions, including Chief of the Government Bureau. 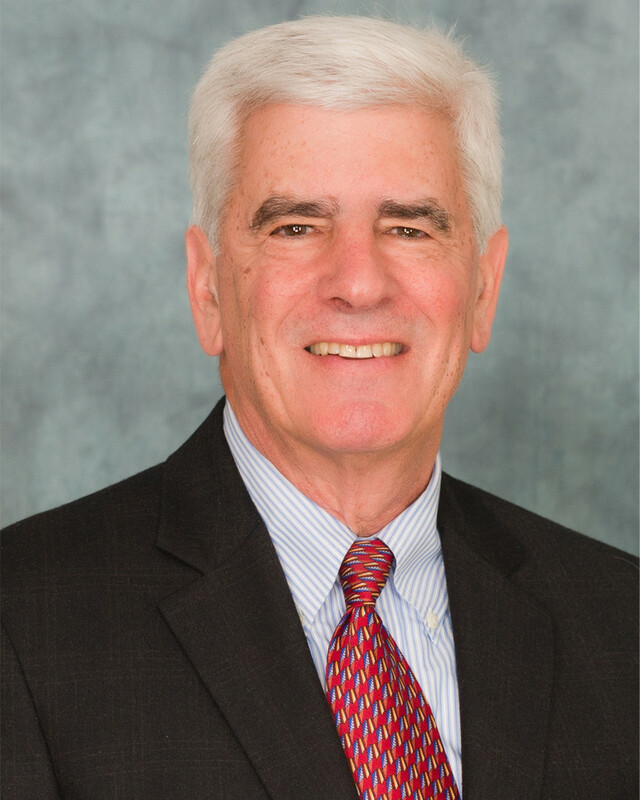 Mr. Stern was a partner at three major law firms, Cooley, Bingham McCutchen, and Hale & Dorr (now WilmerHale), where his law practice focused on internal investigations, white collar defense and business litigation. He has a wealth of experience representing companies and individuals in complex civil, criminal and regulatory matters with clients across the spectrum of industries, including health care, pharmaceutical, and financial services. He has conducted numerous internal investigations on behalf of public companies and their audit committees. 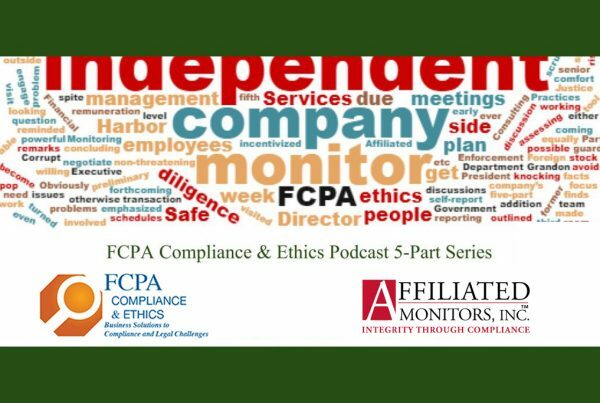 In addition, he has often been called on to advise companies on compliance and monitoring issues. Mr. Stern is involved in a number of public and community activities. 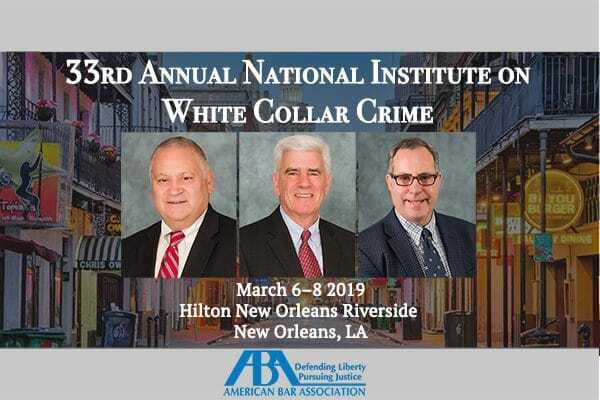 He frequently speaks and writes on subjects related to white collar crime, criminal justice, compliance and business ethics. He has chaired several special commissions to investigate matters of public concern, such as the deaths of two sports fans during post-game police interactions at the request of two police commissioners, and allegations of misfeasance by the Suffolk County Sheriff’s Department, at the governor’s request. Mr. Stern was an Advisor to President Barack Obama’s Justice Department Transition Team. 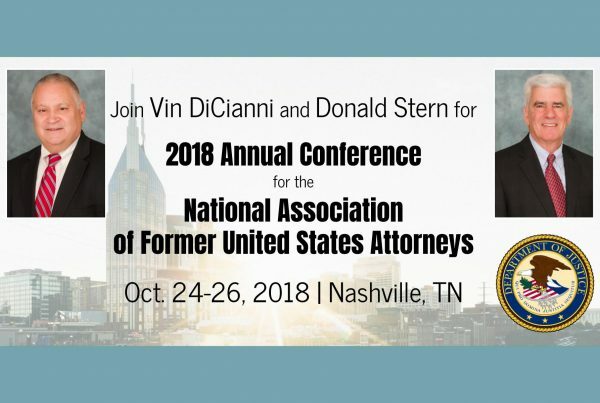 He currently co-chairs the American Bar Association/DOJ White Collar Liaison Committee, and is a past President of the National Association of Former U.S. Attorneys. He was a liaison to the American Bar Association Task Force on Corporate Monitors. Mr. Stern has been on the faculty of Boston College Law School and Harvard Law School. He received his LL.M. from the University of Pennsylvania, his J.D. from Georgetown University Law Center, and his B.A. from Hobart College. He received an honorary LL.D. from the New England School of Law.